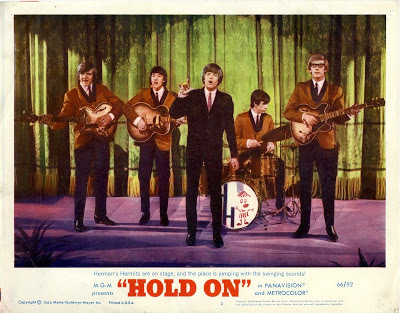 Herman's Hermits in "Hold On!" 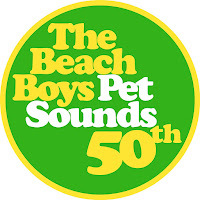 See more at our sister site: Pop '66! Andy "Thunderclap" Newman passed away today at age 73. He's the chap playing piano in the video below. Thunderclap Newman, which took its name from the pianist, was assembled and produced by the Who's Pete Townshend and charted a hit in 1969 with the tune "Something in the Air." The rest of the group included John "Speedy" King on vocals, drums and guitar and future Wings member Jimmy McCulloch on guitar. Click the links to pre-order discounted items from Amazon. 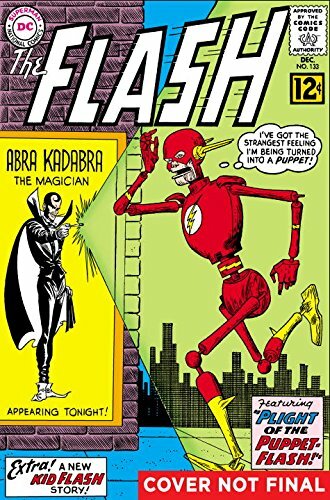 This new graphic novel series collects the early stories of the Flash from the start of the 1960s, including the Flash's battles with some of his best-known foes: Captain Cold, Mirror Master, Pied Piper, Reverse-Flash, Heat Wave, Trickster, Weather Wizard and more. This collection also guest-stars Kid Flash, the Golden Age Flash, the Elongated Man (super-sleuth Ralph Dibny), and Green Lantern. When the last son of Krypton was sent to Earth, one of the greatest legends of all time was born. This edition collects some of the earliest tales of Superman as they were first published. 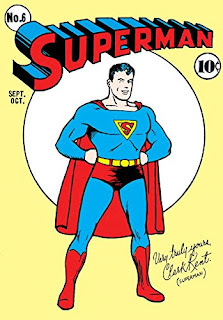 Written and drawn by his creators, Jerry Siegel and Joe Shuster, these tales find Superman helping everyday people against crooked politicians, taking on mad scientists, and running afoul of influential socialites. 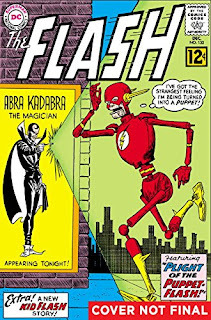 Written by the legendary Gardner Fox, Adam Strange was one of the premier science fiction heroes of the 1960s. 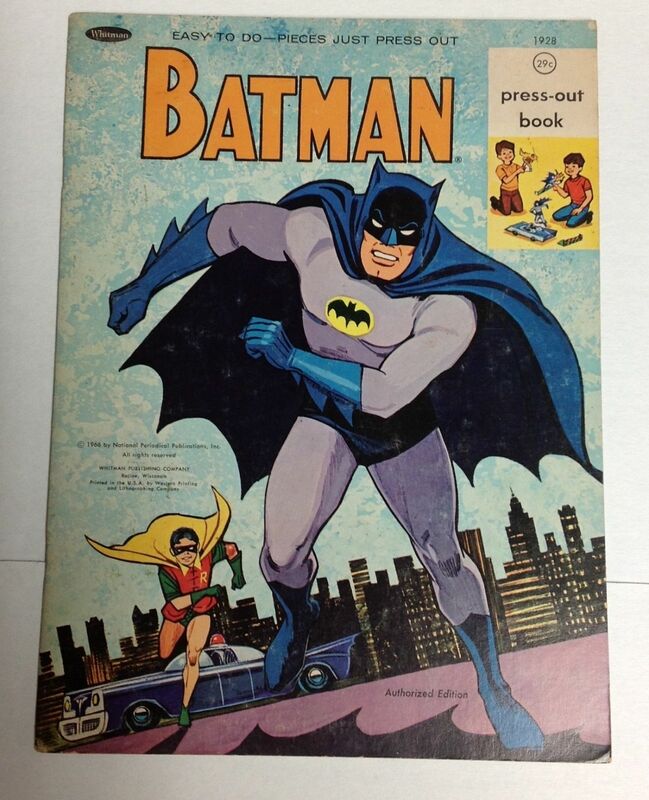 Now once again available in paperback, the Silver Age origins of one of the great DC Comics heroes of all time! 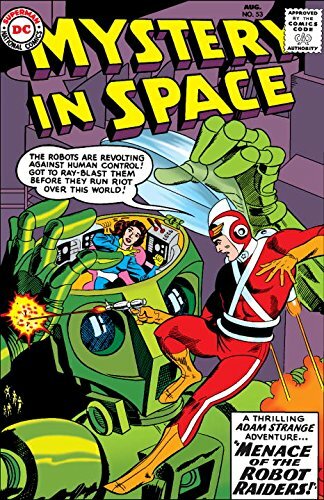 After being mysteriously teleported to another world, Rann, by a scientist in search of a husband for his daughter, Adam Strange's life changed irreversibly as he instantly went from being a simple Earth archaeologist to a cosmic adventurer and hero. This graphic novel collection delves into the true characterization of the man who becomes a myth, by exploring his early childhood and his relationship with his estranged family. By also exposing the hidden secrets of Rann, his new home planet, the crossroads of Adam Strange's past and present converge to reveal the path to his future. 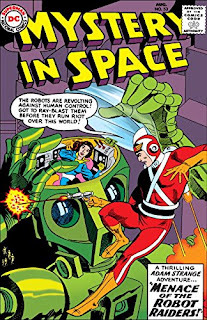 With art by some of the greatest illustrators in the history of the industry, including Carmine Infantino, Gil Kane, Mike Sekowsky and more, ADAM STRANGE: THE SILVER AGE VOL. 1 is a must-own for any collector or new fan wanting to know more about Rann's greatest hero. 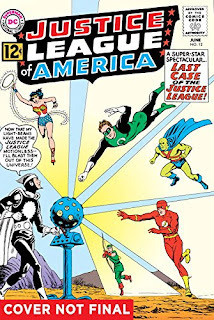 In these tales from the early 1960s, the Justice League of America assembles to take on the threats of some of its greatest foes, including Felix Faust, Dr. Light, the Maestro, the Tornado Tyrant and more. 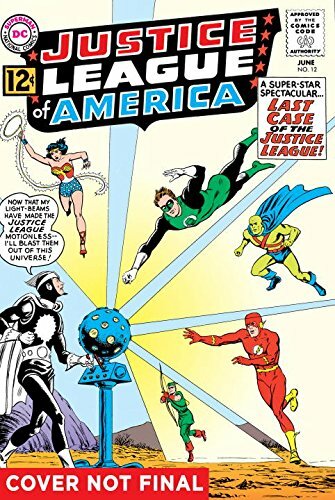 Collects JUSTICE LEAGUE OF AMERICA #9-19. 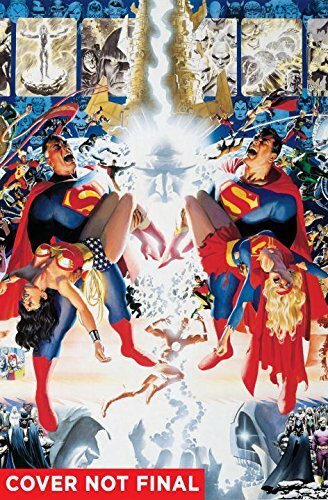 In 1985, DC Comics dramatically altered comics' original universe with CRISIS ON INFINITE EARTHS,a 12-issue series that rocked the comics community, tragically dooming some of DC's most belovedcharacters and drastically altering others. 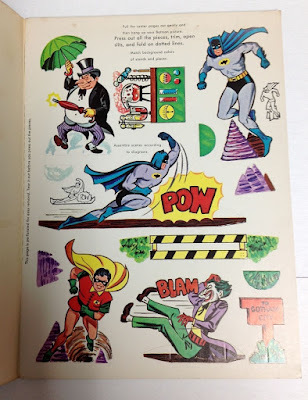 While the Crisis on Infinite Earths raged across the many worlds of the DC Universe in the early 1980s, the action spilled over into numerous comic books, which are collected here for the first time. 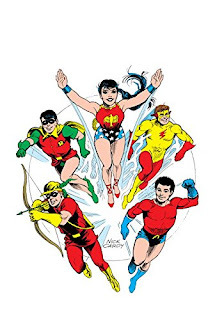 This new title collects numerous issues of series including ACTION COMICS, BATMAN, DETECTIVE COMICS, FIRESTORM, GREEN LANTERN, JUSTICE LEAGUE OF AMERICA, THE NEW TEEN TITANS, SWAMP THING, WONDER WOMAN and many more for the first time. In the wake of CRISIS ON INFINITE EARTHS, the heroes of the DC Universe must find a new purpose and direction in the battle for justice! Superman, Batman, Wonder Woman, The Flash, Green Lantern, and more have dedicated their lives to protecting the innocent and defending justice. 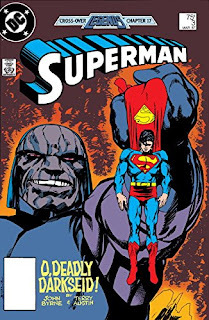 But when G. Gordon Godfrey arrives and acts on behalf of Darkseid to create a hate campaign that outlaws super-heroic activities, the world's greatest find themselves fighting the very people they swore to protect! Features appearances by many of DC's top heroes, including Batman, Superman, Green Lantern and Firestorm (currently seen on the CW TV series DC's Legends of Tomorrow). Collects BATMAN #401, DETECTIVE COMICS #568, GREEN LANTERN CORPS #207, COSMIC BOY #1-4, JUSTICE LEAGUE OF AMERICA #259-261, SECRET ORIGINS #10 and #14, FURY OF FIRESTORM #55-56, BLUE BEETLE #9-10, WARLORD #114-115, SUPERMAN #3, ADVENTURES OF SUPERMAN #426 and ACTION COMICS #586. 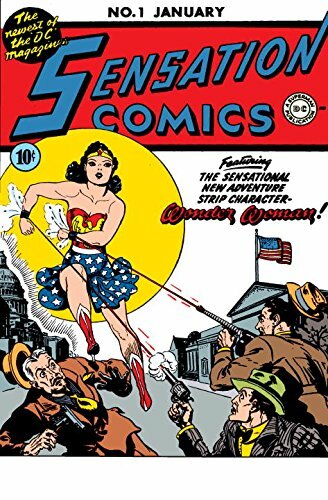 Wonder Woman, arguably the best-known female superhero in the world, and star of her own monthly comics, was introduced in the early 1940s in these quirky tales written by the inventor of the lie detector, psychologist William Moulton Marston. In these stories, Wonder Woman travels from Paradise Island to Man's World, where she serves as an emissary of peace, using her bracelets and lasso of truth to stop injustice. These stories introduce the mythology of Wonder Woman as she battles the powers of evil--from crooked business owners to Nazi spies. Collects ALL STAR COMICS #8, SENSATION COMICS #1-24 and WONDER WOMAN #1-7. A smart, witty and fresh twist on the cult-classic television series from Sid & Marty Krofft, Legendary Digital Studios’ all-new feature-length superhero action comedy ELECTRA WOMAN & DYNA GIRL stars Grace Helbig (“The Grace Helbig Show”) and Hannah Hart (“My Drunk Kitchen”) and debuts on all major digital platforms June 7. The first volume in Dark Horse's Moebius Library is out in November. Pre-order now via Amazon at a discount. Working closely with Moebius Productions in France, Dark Horse is putting the work of a master storyteller back in print--with some material in English for the first time! Stel and Atan are interstellar investigators trying to find a lost space station and its crew. When they discover the mythical paradise planet Edena, their lives are changed forever. 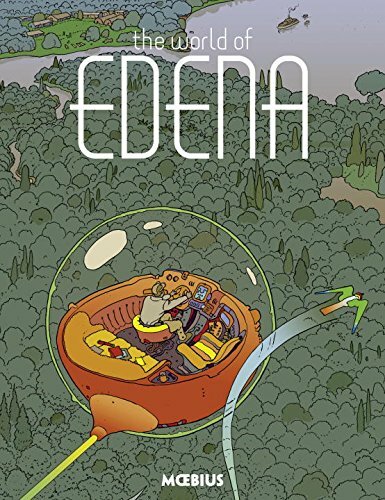 The long out-of-print Edena Cycle from Moebius gets a deluxe hardcover treatment! Moebius's World of Edena story arc is comprised of five chapters--Upon a Star, Gardens of Edena, The Goddess, Stel, and Sra--which are all collected here. A storyboard artist and designer (Alien, Tron, The Fifth Element, among many others) as well as comic book master, Moebius's work has influenced creators in countless fields. 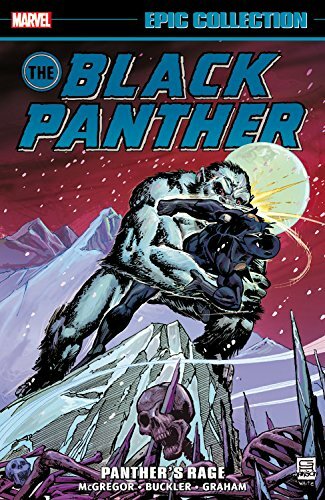 Upcoming Marvel Comics collected editions: Doctor Strange; Avengers; Black Panther, more! When Stan Lee turned the super-hero world on its head replacing Avengers founders Iron Man, Thor, Giant-Man and the Wasp with a trio of former super villains, readers thought he'd gone mad. As it turned out the only thing crazy was how insanely exciting the line-up of Captain America, Hawkeye, Quicksilver and the Scarlet Witch would become! The hits continued with the fi rst appearance of the Collector, the Swordsman and the Sons of the Serpent, the Black Widow's Avengers debut and Giant-Man's transformation into Goliath. Despite the unbelievable heights the Avengers had reached under Lee, when he passed the title to Roy Thomas, the sky was the limit! 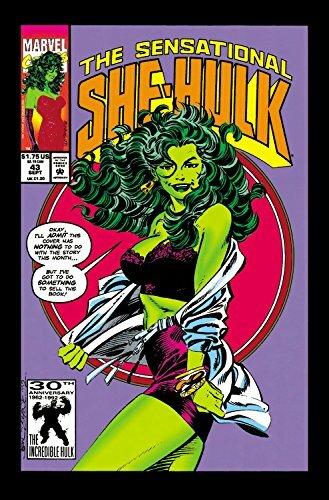 John Byrne makes his sensational return to the series he started, and She-Hulk's adventures as a super hero who knows she's in a comic book get wilder and more hilarious than ever! Shulkie will face problems high and low as her signature writer/penciler pits her against Spragg the Living Hill and sends her on a puntastic Jenny to the Center of the Earth! But will she say "I do" to the Mole Man? She-Hulk will banter, bodyswap and battle as she tackles foes like the Black Talon and his Unliving X-Humed, and may end up wiped out of comic book continuity by the Living Eraser! But is She-Hulk's greatest nemesis Xemnu the Titan, or John Byrne himself?! Magical tales from a spellbinding artist! 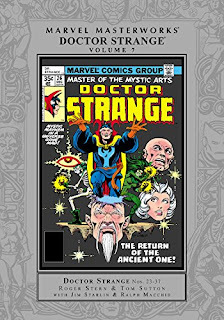 Multiple award-winner P. Craig Russell brings his distinctive style to Doctor Strange in an Eisner-winning tale decades in the making. It's a psychedelic story of sorcerous seduction that will take you from the arcane shadows of the Sanctum Sanctorum to the dizzying spires of the mystical city of Ditkopolis! 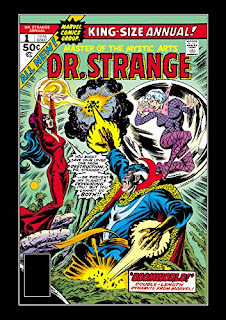 The Master of the Mystic Arts puts Clea to the test, faces a challenge to his title as Sorcerer Supreme and battles a hoary host of foes. A host of top-flight creators including Roy Thomas, Gene Colan, Stan Lee and Barry Windsor-Smith begin our collection of Doctor Strange at his very best! 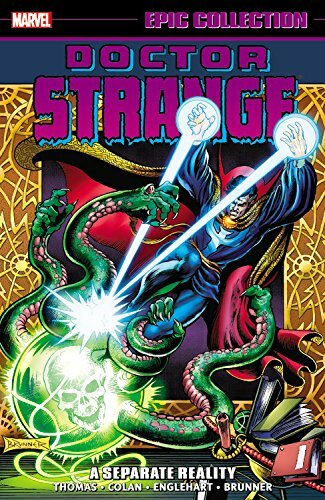 They'll take you on a trip to the dark side of the Marvel Universe and bring you before The Undying Ones, Baron Mordo, the cosmic threat of Eternity and the eldritch horror of Shuma-Gorath. 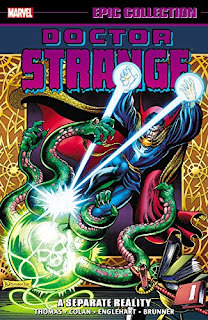 Then, Steve Englehart and Frank Brunner break new boundaries of cosmic consciousness and other-dimensional adventure. Their all-time classic Sise-Neg Genesis and Silver Dagger sagas feature deliriously lush art and stories that plumb the depths of Strange's soul. The Master of the Mystic Arts crosses into the Quadriverse, but little does he realize unknown agents have set the Cosmic Wheel of Change in motion. Chaos is unleashed as the universe goes mad. 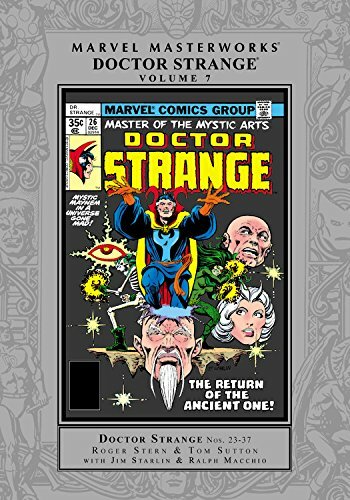 Only with the return of the Ancient One can Doctor Strange hope to restore order to creation, but he'll have to conquer the cosmic might of the In-Between to do it. Roger Stern has even more frightening horrors to unveil: an elder god marshals Nightmare, D'Spayre and the Dream Weaver to twist reality and rend Strange and Clea's souls with inconceivable fears. 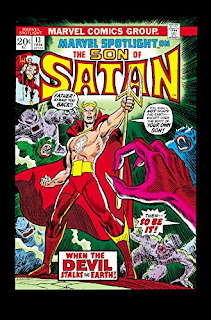 He's got Marvel's most rotten family tree, with Satana as his sister and the Father of Lies himself as their dear old dad! 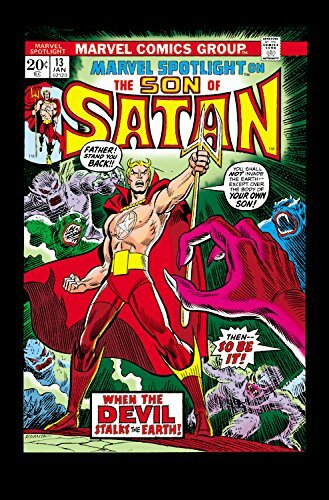 So is there any saving the soul of Daimon Hellstrom, the sensational Son of Satan? The most flamboyantly dressed exorcist around will ride to the rescue of Ghost Rider and fight alongside the Thing and the Human Torch! Flaming trident at the ready, pentagram on his chest, he'll face ice demons, a fire dragon, an Egyptian god, nihilists, and folks who worship his father! Speaking of which, Daimon will face an unhappy paternal reunion and sibling rivalry with his succubus sis. They're the relatives from hell - literally! Jack "King" Kirby returns to the character he made history with as Marvel Masterworks presents his complete Black Panther series and its never-before-reprinted conclusion in one massive volume! Kirby's limitless imagination unfurls before you as T'Challa unlocks the secret of King Solomon's frog, encounters alien races, battles eternal samurai warriors and much, much more. 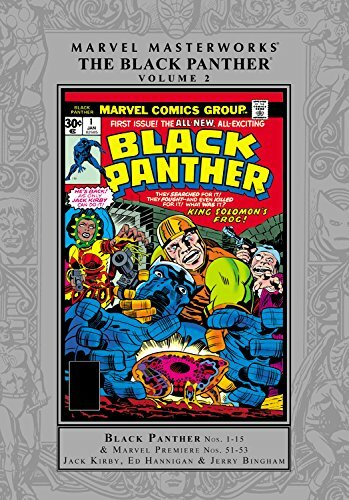 The history of the Wakandans, their majestic city, their amazing technology and the origins of Vibranium are all explored with a power and passion that only Kirby can offer. One of the most explosive sagas in comics history! Peter Parker's world is rocked like never before by the return of his clone, long thought dead. For years, the clone has lived in peace as "Ben Reilly," but now he will be drawn back into wall-crawling action as the Scarlet Spider! But who or what is Kaine? 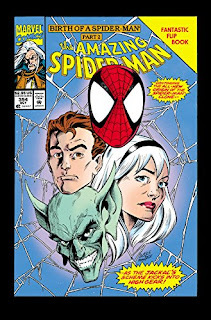 Both Peter and Ben will be caught in a web of death spun by the Jackal, and their power and responsibility will be tested to the limits as the villain's game of smoke and mirrors raises the question: just who is the real Amazing Spider-Man? 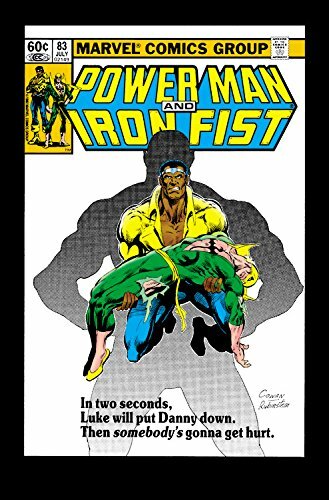 Power Man & Iron Fist Epic Collection: Revenge! Payback time! But for the Heroes For Hire, vengeance cuts both ways. When the killing machine known as Warhawk beats Danny to a pulp, Luke will take his pound of flesh in return. But he's not the only one out to settle a score. The terrifying tag-team of Sabretooth and Constrictor are old foes out for blood, and to get the message across they target Power Man and Iron Fist's friends! And they're not Luke and Danny's only headache, as the heroes take on the malignant Mole Man and the mountain climbing Montenegro! In the 1960s, Stan Lee and Jack Kirby created an unprecedented string of classic comic book heroes. Quite possibly the most iconic of them all was the high-tech king of Wakanda, The Black Panther. When the Panther began his own solo series, Don McGregor strove to meet Lee and Kirby's high standard with "Panther's Rage." It was an epic adventure so huge it ranged across the savannah, into the deepest jungles and up snow-topped mountains. Over its course, McGregor would explore and expand the life and culture of Wakanda and their African kingdom in compelling detail. By 1974, kung fu fever struck the United States. Hot on the heels of the breakout hit Master of Kung Fu, Marvel launched the amazing, oversized The Deadly Hands of Kung Fu magazine. Headlined by Shang-Chi, Iron Fist and the Sons of the Tiger, artists including Rudy Nebres, George Pérez, Jim Starlin, Paul Gulacy and more gave, Deadly Hands their all. With stunning painted covers by the likes of Neal Adams, no man could stand against Deadly Hands. 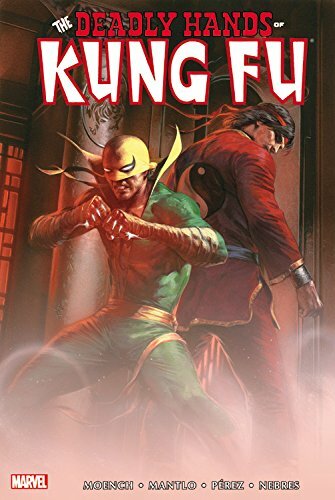 Each issue featured not just the comic-art adventures of Marvel's greatest kung fu heroes, but also extensive interviews, martial arts guides, photo features, and movie, TV and book reviews. If there was anything you wanted to know about martial arts, Deadly Hands had a kung-fu grip on it. Click the links to order discounted DVDs and Blu-rays from Amazon. I have no recollection of this star-studded endeavor, "Child Spirit of the Forest." Maybe I blocked it out? 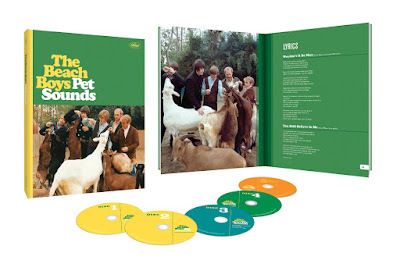 A 4-CD, 1-Blu-ray Audio box that includes the original album in mono, stereo, high-rez and 5.1 sound, along with numerous live performances and studio outtakes. A 2-CD edition with mono and stereo versions of the album plus a selection of outtakes. A 180-gram vinyl LP in mono. A 180-gram vinyl LP in stereo. You can pre-order any of the releases from Amazon by clicking the links above. New collected editions of note. Click the links to order discounted items from Amazon.